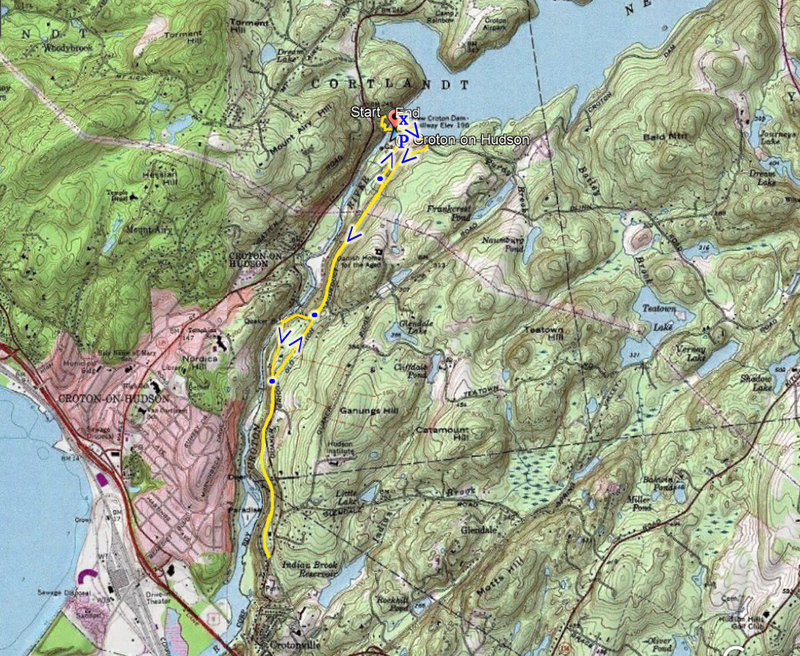 This was a fast-moving hike with an average speed of 3.1 miles per hour. 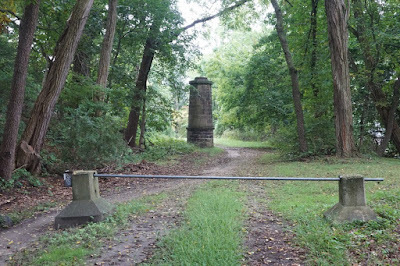 I had seen pictures and heard of this area, but never had gone here before. The area is indeed very memorable with a huge dam and an impressive spillway and waterfall. 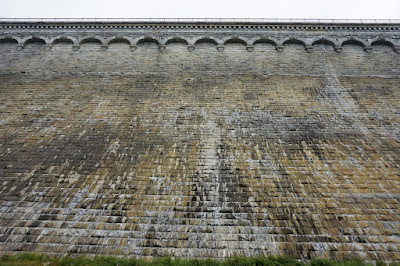 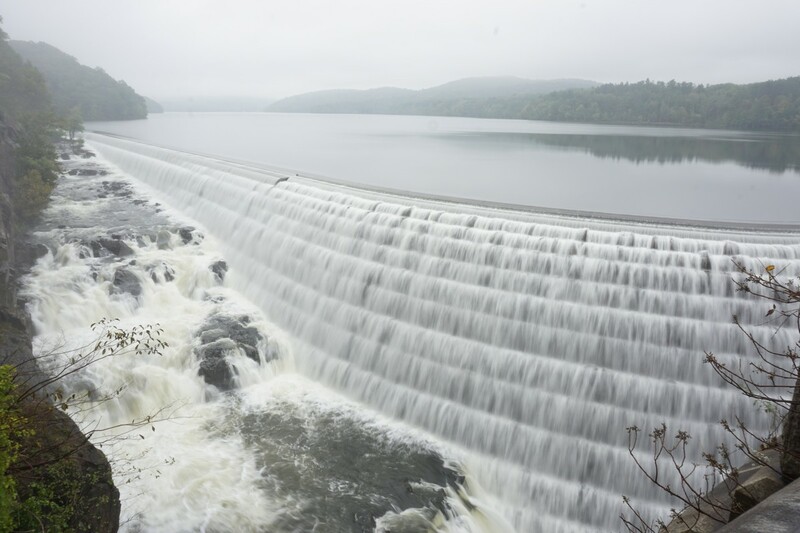 I have heard that the water output of the dam can range from a trickle to a full-blown blast of water, which indeed was the case during my visit due to all the recent rains. 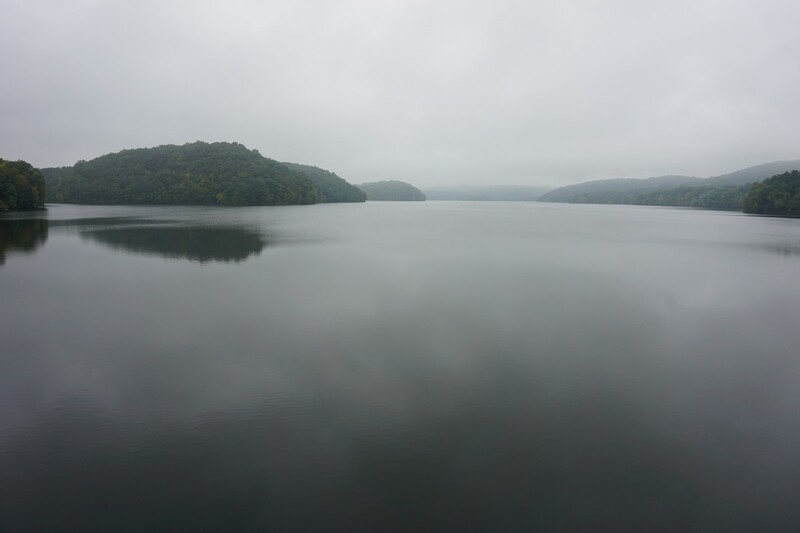 The weather was lousy. 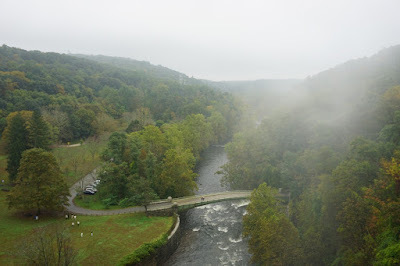 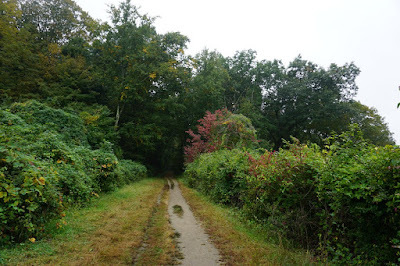 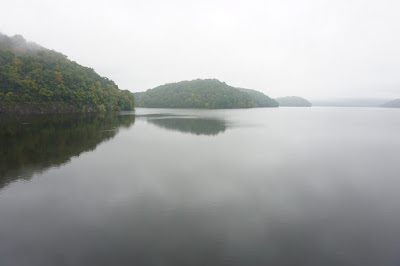 It was foggy with mist, and limited visibility, but the first of the fall foliage colors were visible during this hike. 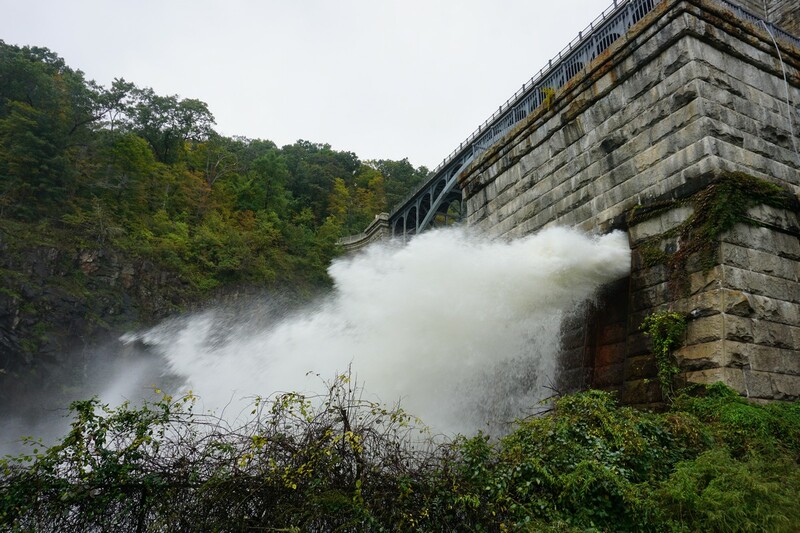 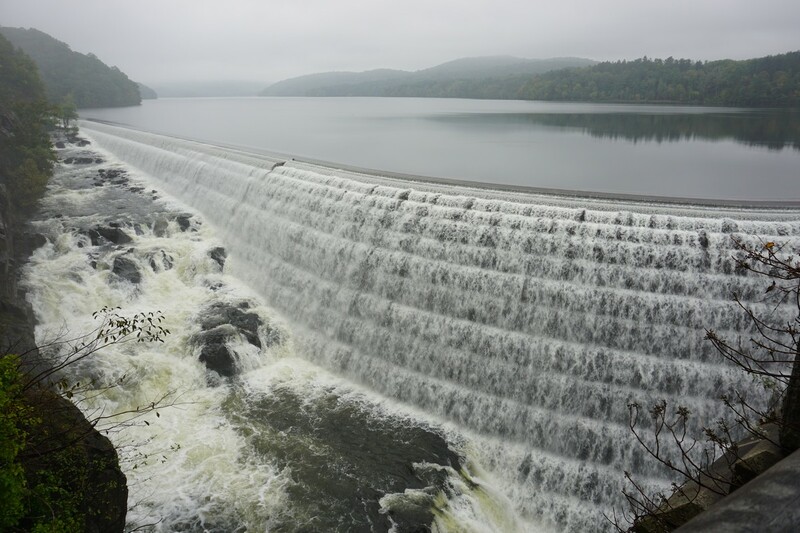 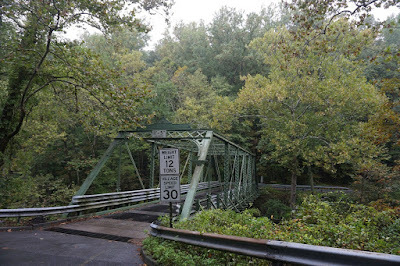 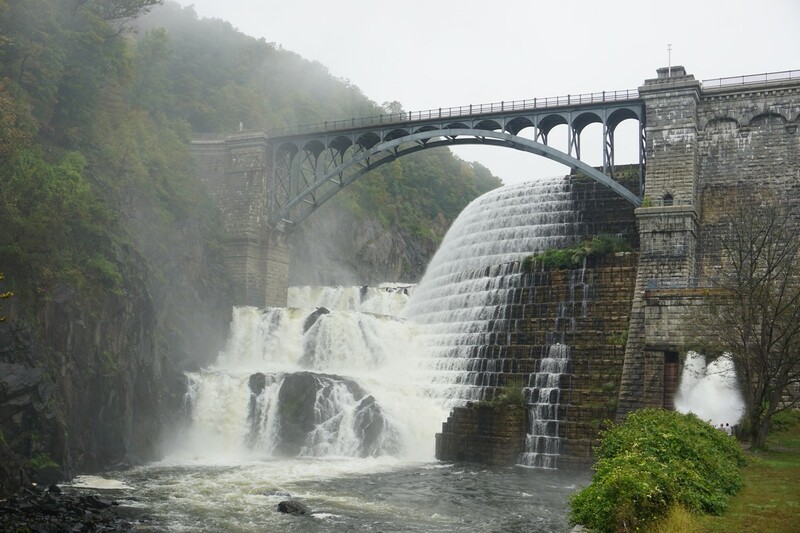 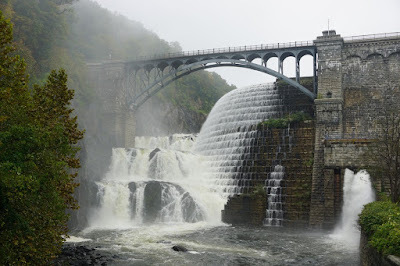 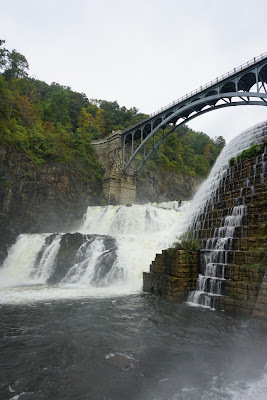 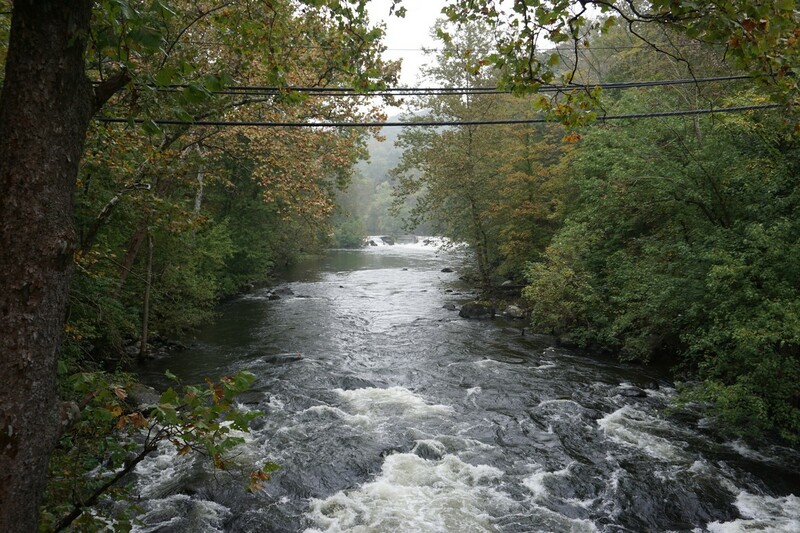 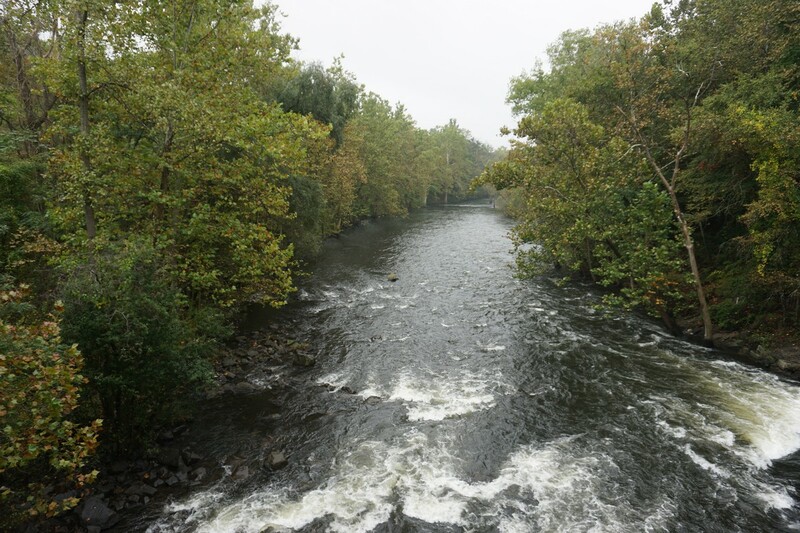 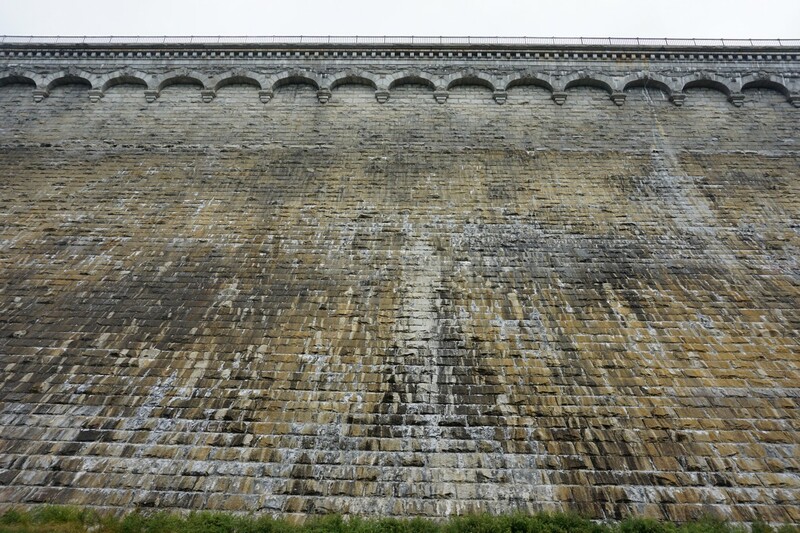 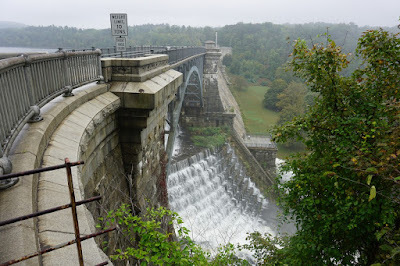 I parked in the main parking area below the dam, and crossed the road bridge over the Croton River, and the climbed up the gorge walls to the road above the dam. This road above the dam has been closed to automobile traffic since 9/11, but it is pedestrian-friendly. 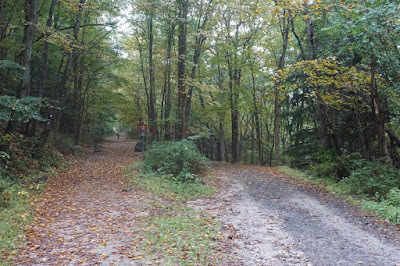 There were several people out walking here despite the weather. 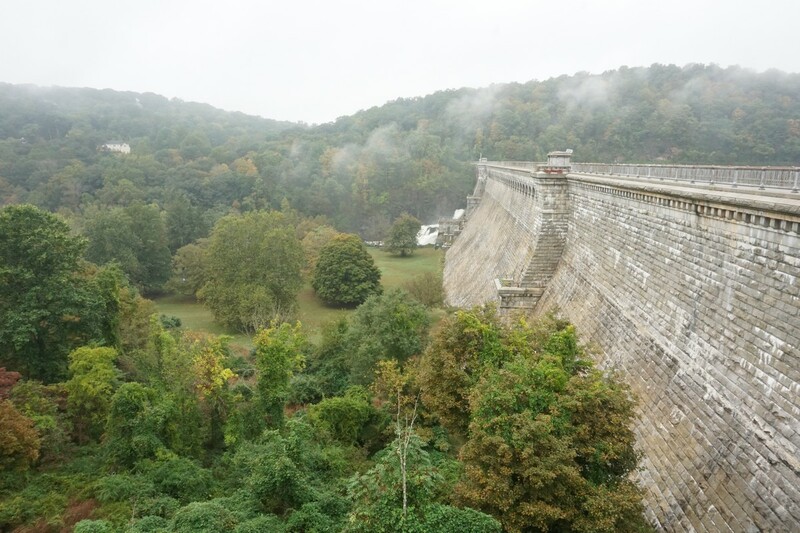 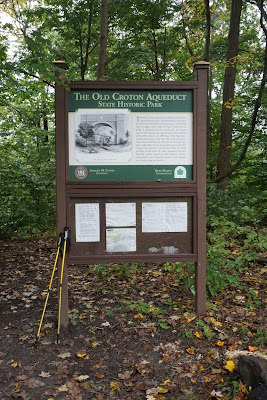 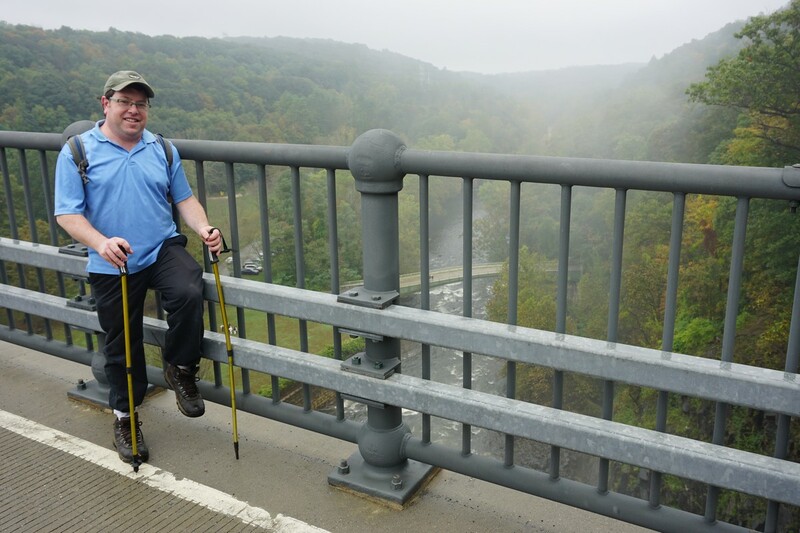 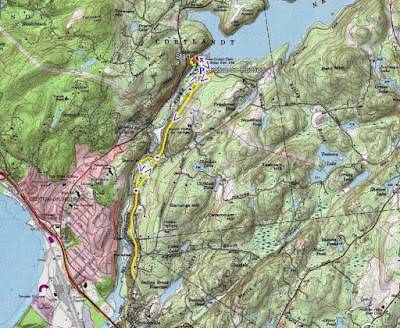 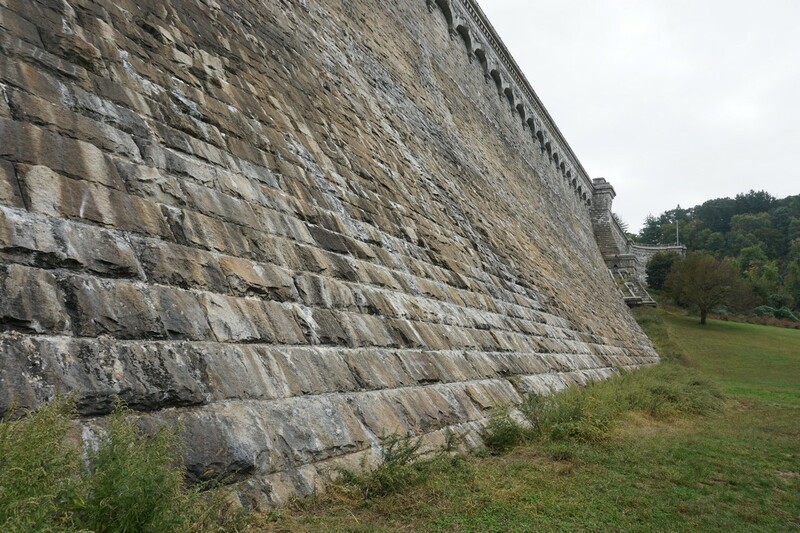 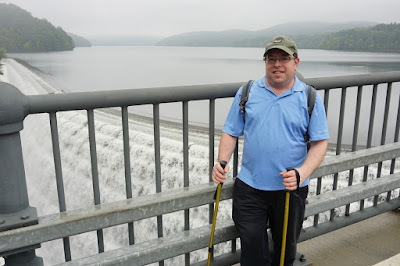 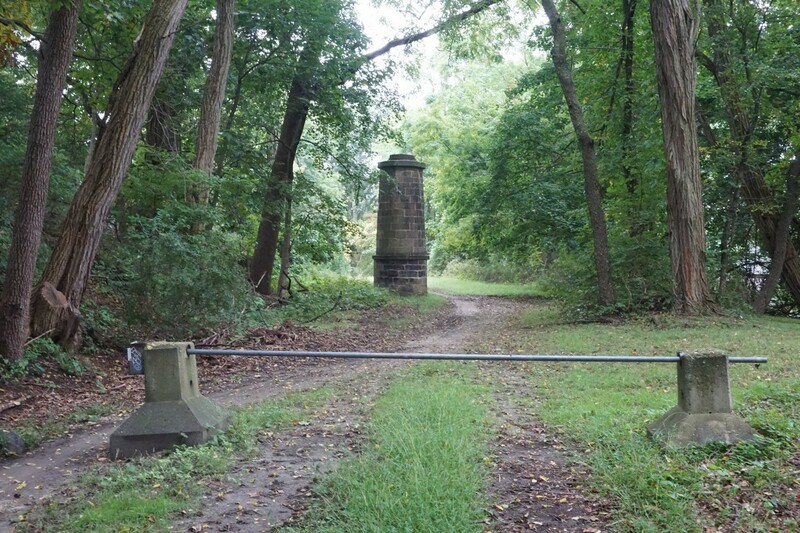 I walked along the dam to the southern side of the gorge, and took the Old Croton Aqueduct Trail southeast. I parked in the Buttermilk Falls parking area, and took the Buttermilk Falls Trail up to the waterfall, which was flowing very strongly. 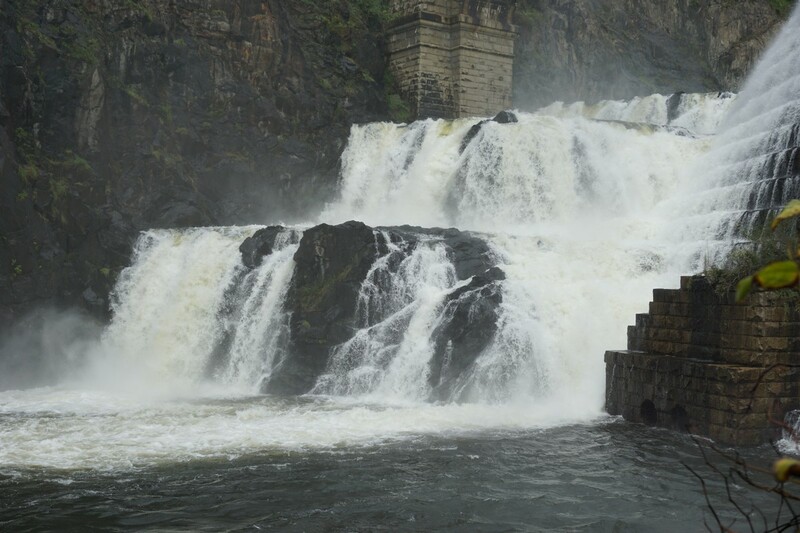 (This waterfall can be only a trickle during dry seasons, so it's only worthwhile visiting during the wet season or after a large rain.) I continued along the trail afte the waterfall, arriving at the view on top of the ridge, which faces south and west. 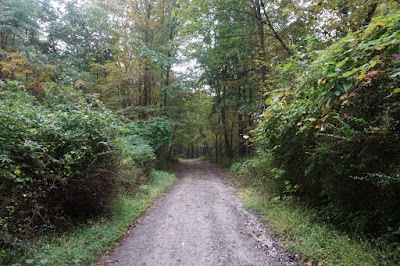 I then headed back along the same way, which I then took to the River Trail by cutting through a shortcut where the trail snakes in a U as it descends into the gorge. 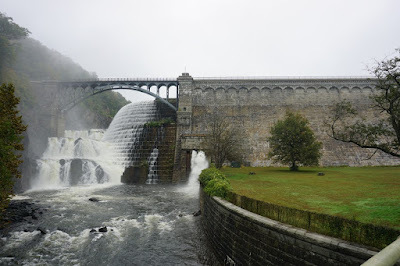 I then took this back to the picnic area in the park, and went close to the dam wall and waterfall, before heading back to my car and completing this hike. Aqueduct Aerator at the end of my Hike. 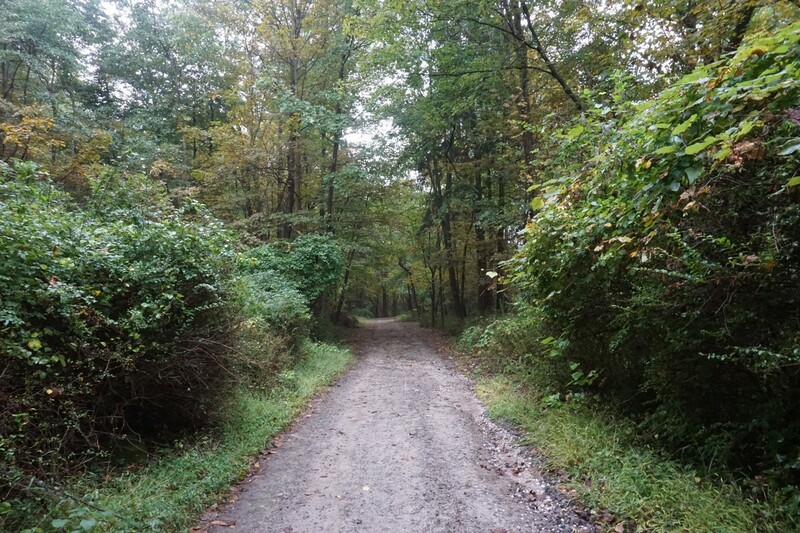 There are Several of these along the Trail.